Happy Harvests with a Second Green Revolution? Today is the Bengali New Year, so Happy New Year dear Readers! This calendar dates to a phase in our life when we we moved in tandem with harvesting and planting. Many of us have moved to towns, other states or even across the globe but the day is still marked for the diaspora with Facebook and Twitter wishes and much nostalgia for the sweets which are such an important part of the memories of past celebrations. For the farmer of course, it is more than a matter of fun, the harvest determines his future and that of his family. The Green Revolution brought bumper harvests and cause for celebration to many and now there is the possibility of a second revolution bringing better times. And so this post is to celebrate a farmer who participated in both, was an active adopter and participant in research and is a strong believer in the benefits of science for agriculture. 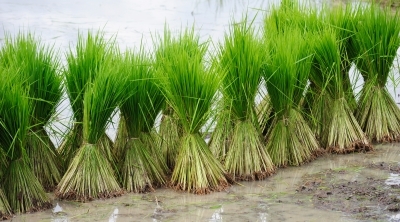 The International Rice Research Institute celebrates him with this story. This entry was posted in Farm Technology, Farmers view, Food Security, GMO, India and tagged biotechnology, Farmers voice, Farming Technology, food security, Genetically Modified Organisms, Hunger, India. Bookmark the permalink.